Welcome to the Mid City Motor Lodge. Whether on holidays, for business, or just passing through, you will enjoy the relaxed atmosphere of the Mid City Motor Lodge. It is both affordable and ideally located in the heart of Orange and opposite Robertson Park. The motel is within walking distance to all the conveniences of the CBD. 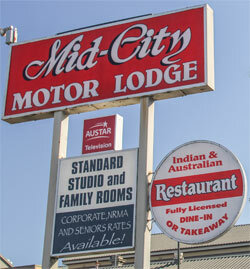 The Mid City Motor Lodge can cater for large groups and coaches, as well as business travellers and individuals or families. Dine out at the award winning Indian Restaurant and bar which is located on site. The restaurant serves authentic Indian cuisine in a lovely friendly atmosphere. 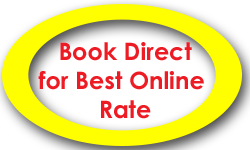 Room service and takeaway options are also available.